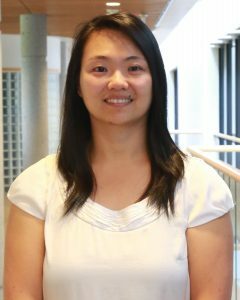 Dr. Maria Wang obtained her undergraduated degree from the University of British Columbia before completing her Doctor of Optometry degree at the University of Waterloo in 2007. During her Optometry training, Dr. Wang spent time in clinics across Canada and the United States. As a practicing optometrist, she has worked in both commercial and private settings, working closely with other optometrists and ophthalmologists in the area. Dr. Wang has also taken part in volunteer missions to provide much needed eye care in under-served communities and has travelled on missions to Peru, Chile and Guatemala. She has also volunteered within her local community and at events such as the Special Olympics. She plans to continue taking part regularly in such missions and looks forward to continue serving patients both locally and wherever her skills may be needed. During her free time, Dr. Wang enjoys staying active and spending time outdoors.